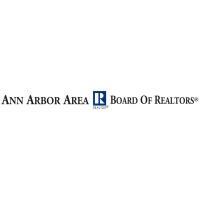 Congratulations Alex Young of Zingerman’s Roadhouse and Cornman Farms and Faith in Action for receiving the Ann Arbor Area Board of REALTORS® 2017 Eunice L. Burns Environmental Awareness Award. Using products that contain recycled materials or energy saving qualities. Taking steps to clean up environmental problems. Developing innovative recycling or reuse programs. Restoration and remodeling efforts that promote historical preservation and reuse materials. Chef Alex Young, founder of Zingerman’s Roadhouse and Cornman Farms, is passionate about food, the environment, and teaching youth about environmental efforts. He has been responsible for the recycling and reuse programs at Zingermans Roadhouse, using all vegetables, food scraps and biodegradable items which are brought to Cornman Farms to be composted. In addition, all take-out containers used at Zingerman’s Road house are biodegradable. Alex also spends much of his time educating the youth in public schools to help learn about environmental efforts. He participates in the Farmer in the Classroom program through the Agrarian Adventure Farm to School for 4th and 5th graders. 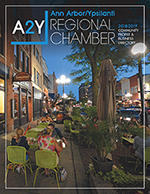 He hosts Ann Arbor’s Steam School and Dexter’s 2nd grade class visits to Cornman Farms with educational tours, and teaches two classes each year in the Life Skills curriculum in Dexter’s 7th grade class. He also presents a class on organic versus conventional farming to Belleville High School. Faith in Action, a community organization in Dexter that provides free assistance to local residents, goes to extraordinary lengths to ensure nothing they receive to help aide the community goes to waste. People from anywhere are able receive clothing, food and other necessities from the pantry, and the items that are not donated are put to other good uses. Clothing that is unusable are sent to a company to use for rags for painting and cleaning companies or sent to countries that are in desperate need of clothing. Electronics are recycled and food that is rotting or beyond the expiration date is given to people within the community who have farm animals that will eat it. Old medical equipment is stored and loaned out to people from any community as needed at no cost or are shipped to doctors working in Third World countries overseas. Director Nancy Paul ensures nearly every item that comes to Faith in Action is put to use or is recycled.